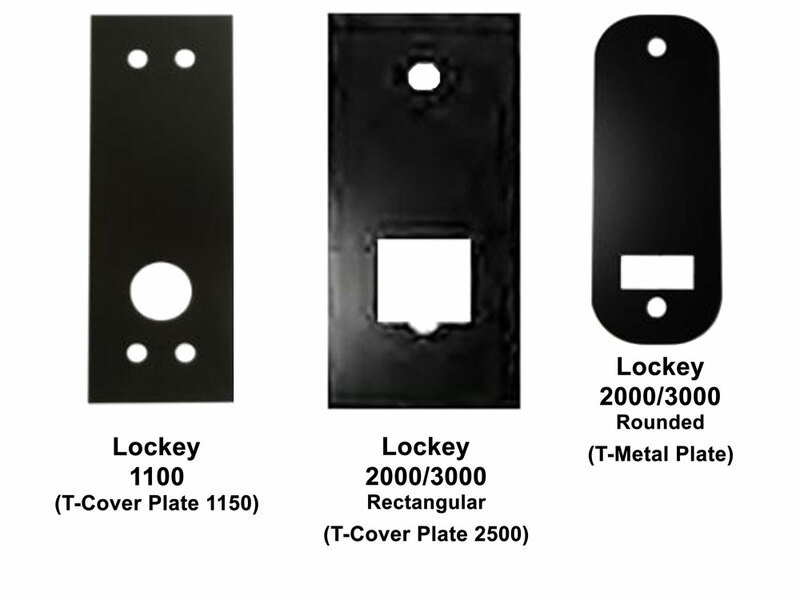 The Lockey 230P Latchbolt Keypad Lock is a self-locking keyless entry system for a door with a crash bar (or door panic bar). 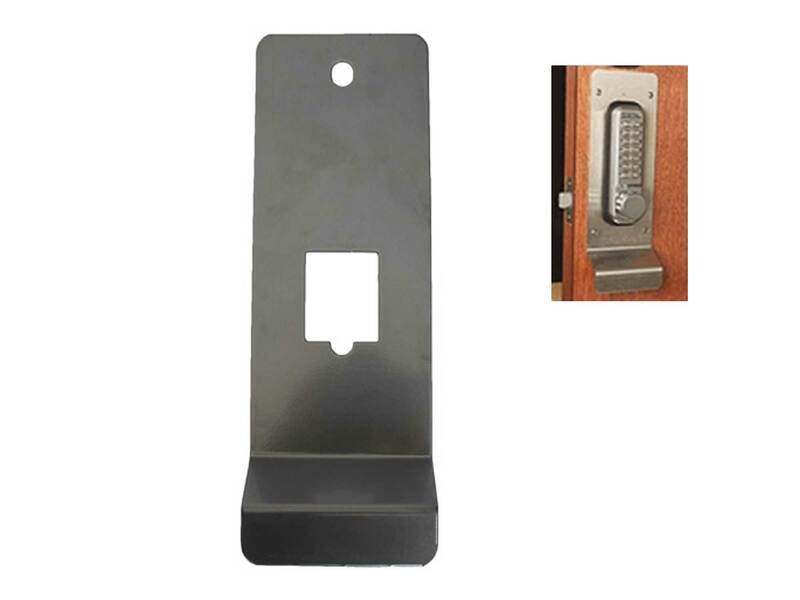 This panic door lock is often used on commercial office and retail doors that are required to have a panic bar for a fast exit in case of a fire. 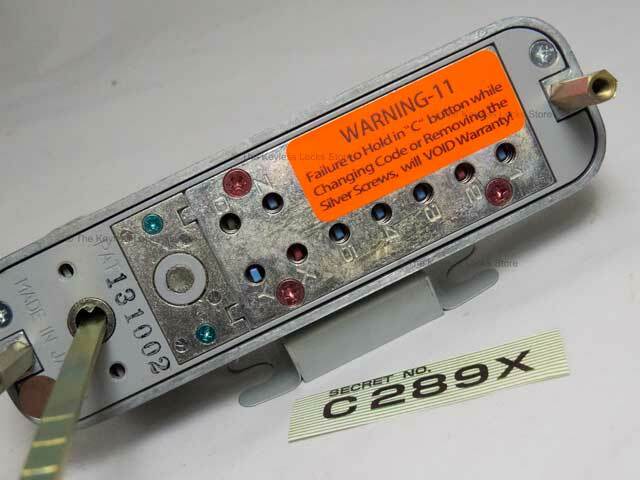 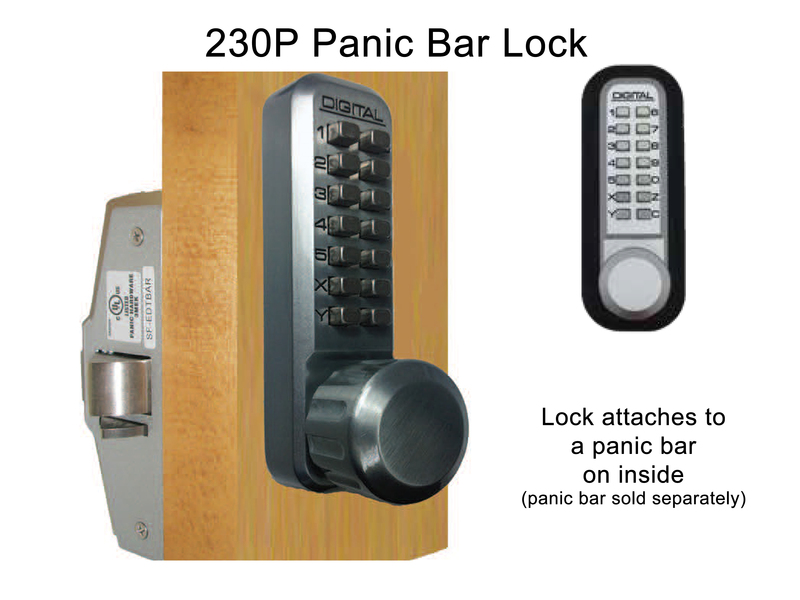 The 230P is most commonly used on panic exit devices, but it can also be used on narrow stile doors made of aluminum and glass in settings such as offices, hospitals, and schools. 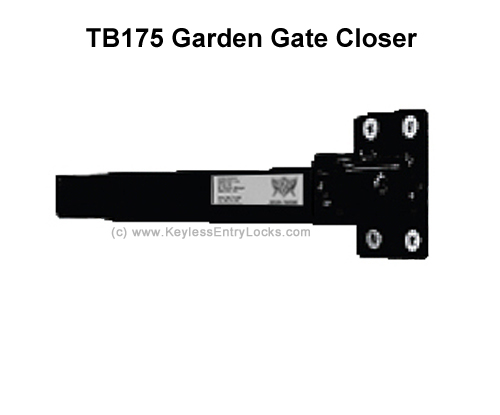 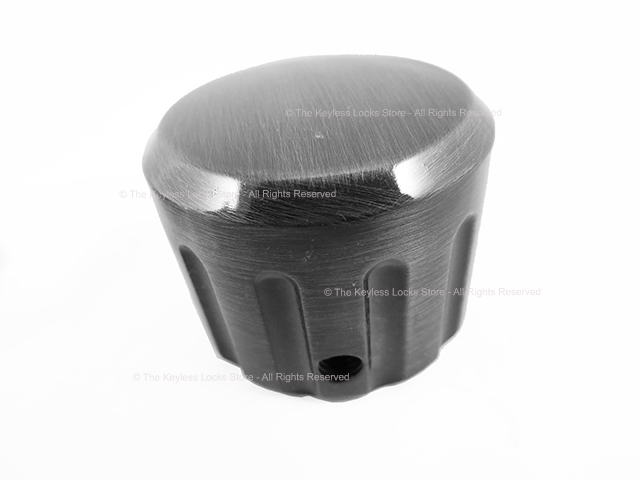 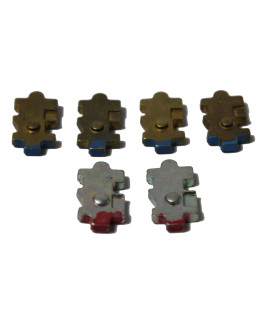 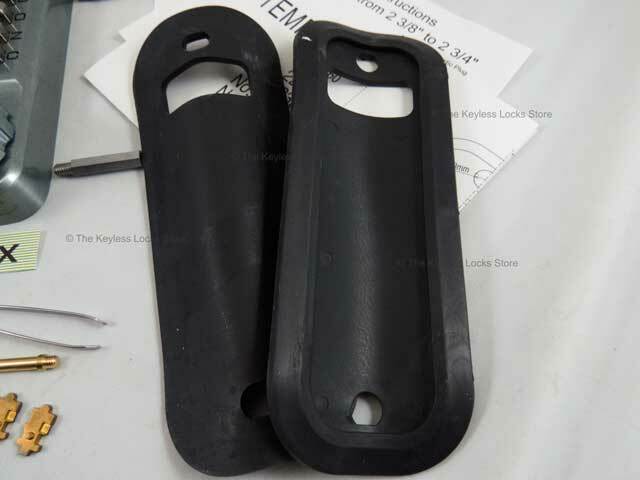 It is designed to completely replace an exisiting keyed cylinder. 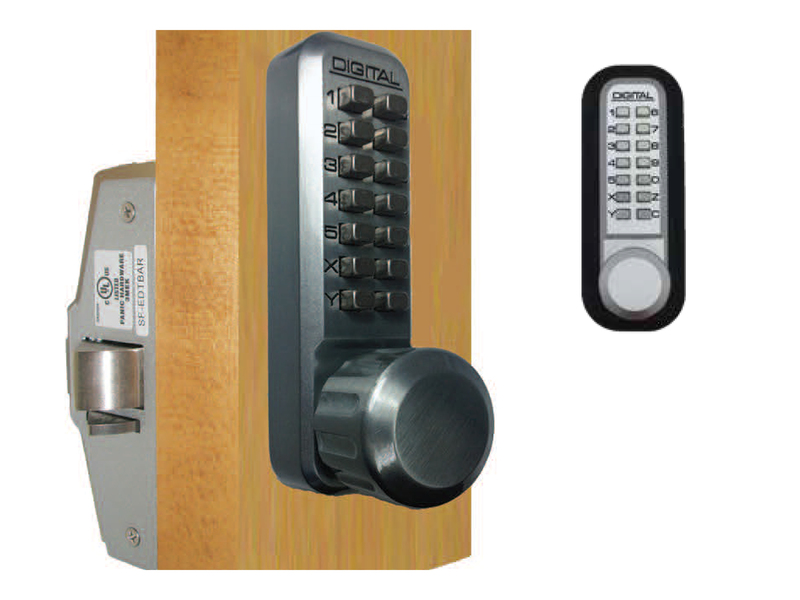 No AC power, wires, or batteries are needed--this lock is completely mechanical. 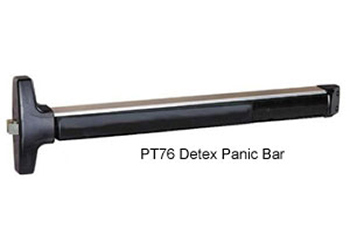 Power failures don't affect it. 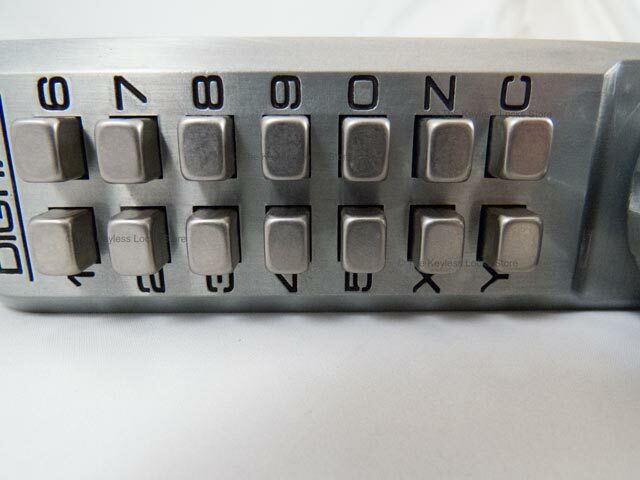 And best of all, the first time you change the combination, this lock will pay for itself by saving the cost of a locksmith. 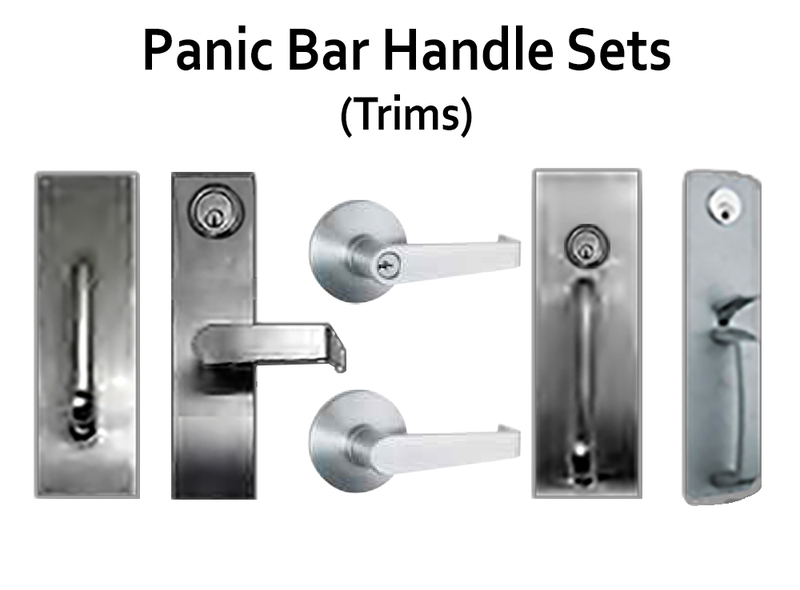 The 230P Panic Bar Door Lock replaces the keyed cylinder on panic bar exit doors. 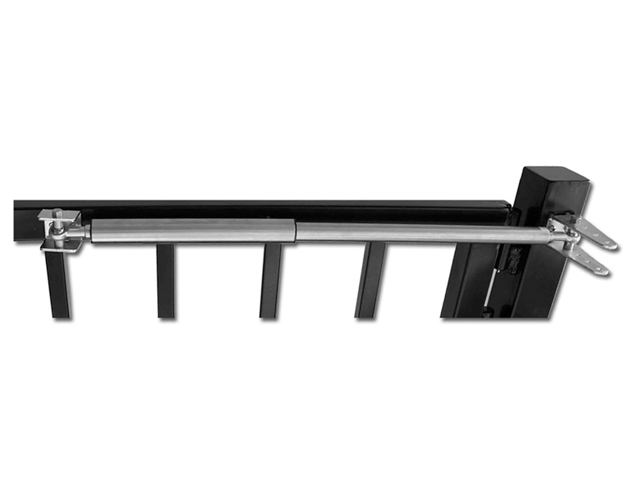 This lock will work with your current panic bar setup if it accept a flat tailpiece and have a turn radius of 70 degrees or less. 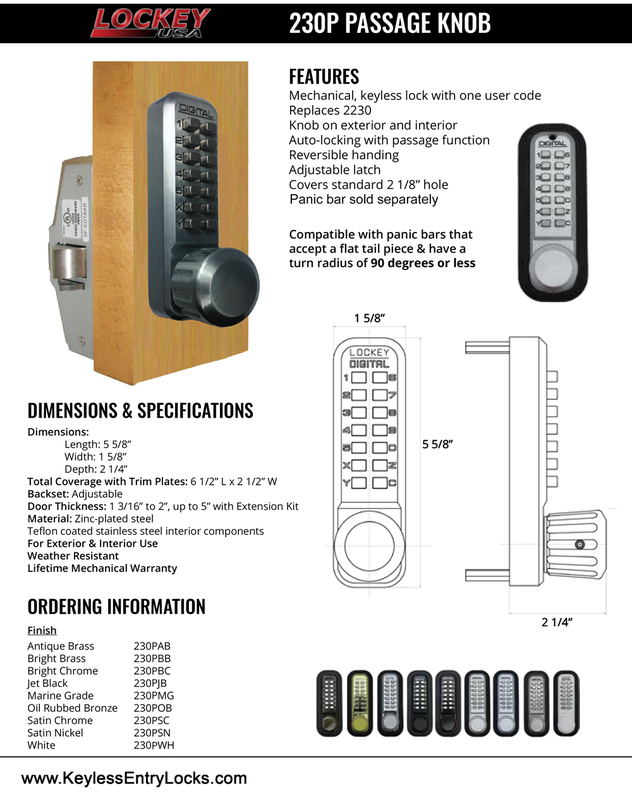 It comes standard with an over-sized knob. 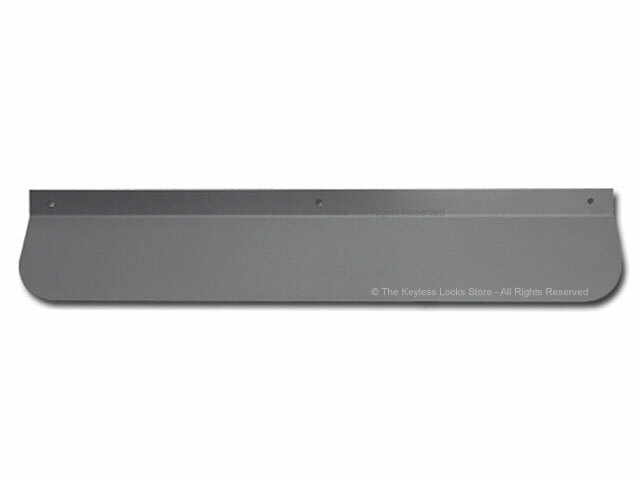 It is all mechanical and requires no keys, wires, or batteries to operate. 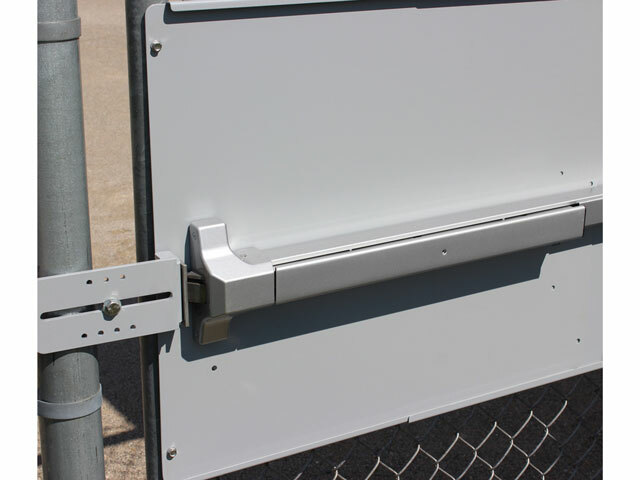 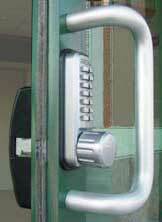 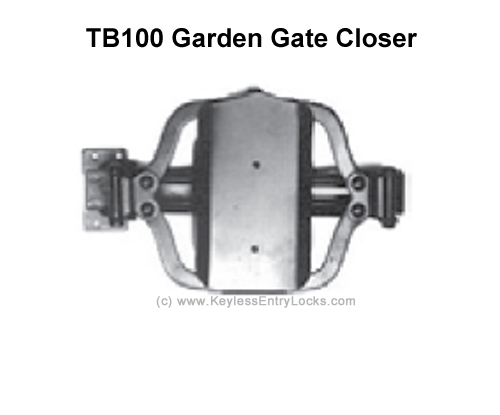 This lock is completely weatherproof and can withstand all types of weather. 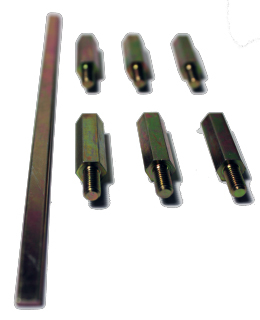 Changeable handing to open on left or right side. 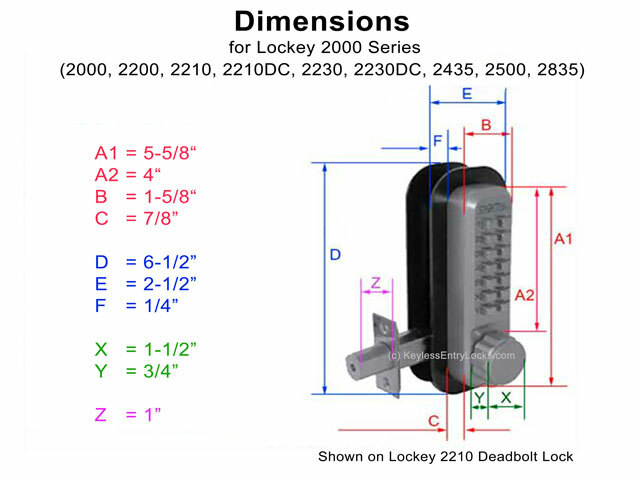 Note: If you are going to install this lock underneath an existing dead bolt, you will need at least 4-5/8 inches from the bottom of the dead bolt down to the center of the large 1 inch hole for this lock.